HomeFavorite CoversFavorite Covers: Bring on the Bad Guys by John Romita Sr.
From the Favorite Covers series: Great heroes need challenges that define their character and resolve. And back in the 60s and 70s Marvel was churning out great heroes and brilliant villains. The Bring on the Bad Guys trade paperback featured a stunning painted cover by art legend John Romita Sr. 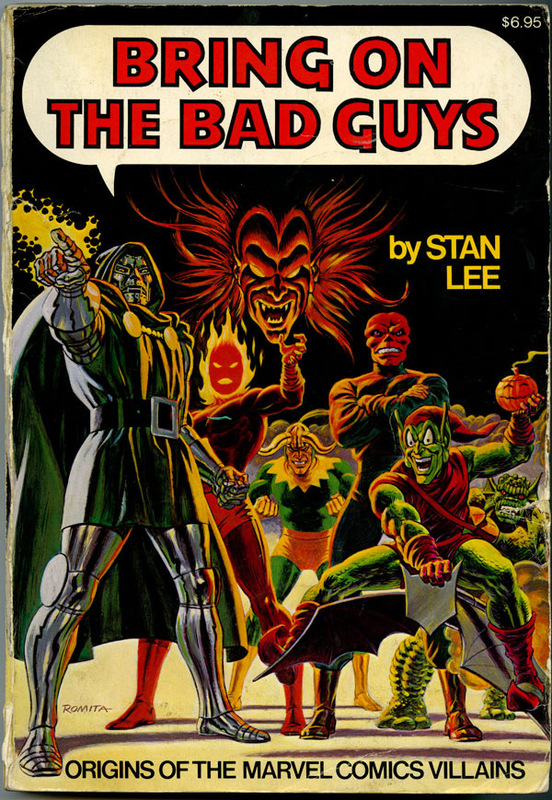 This book was one of several titles published by Fireside Books that reprinted early Marvel Comics stories. In this case, the spotlight was on the rich universe of Marvel villains. Even though there’s not much action on this cover, Romita draws you in with the saturated colors and multi-layered design. Just look at how he draws your eye from the left with Dr. Doom all the way to the center with Loki.